According to THE INDEPENDENT, there is a bizarre mystery unfolding which could have a devastating impact on mankind. Disturbing reports have recently surfaced which confirm that there has been an abrupt disappearance within the past few months of millions upon millions of bees that pollinate crops. This phenomenon started in the United States and it is now estimated that 60% of the commercial bee population on the West Coast has disappeared, while a staggering 70% have vanished along the East Coast. Could this be some kind of insidious retribution fostered upon those living and voting in Blue States by the Bush Administration? To begin with, this phenomenon has spread to much of Europe. Leading scientists on both sides of the Atlantic now believe that the cause is due to radiation emitted from cell phones which interferes with the bees' inherent navigation system, preventing the famously home loving species from finding their way back to their hives. Albert Einstein once said that if the bees disappeared, "mankind would have only four years of life left." Why couldn't this be happening to mosquitoes instead? 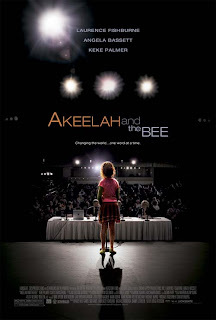 Before closing, let me add that I had intended to write a review on AKEELAH AND THE BEE. This is a wonderful, uplifting family film that NEWSWEEK called "splendiferous." Keke Palmer, the young actress with the title role, will definitely win your heart and mind. And unlike Abigail Breslin in LITTLE MISS SUNSHINE, Keke comes across as totally "beelievable."